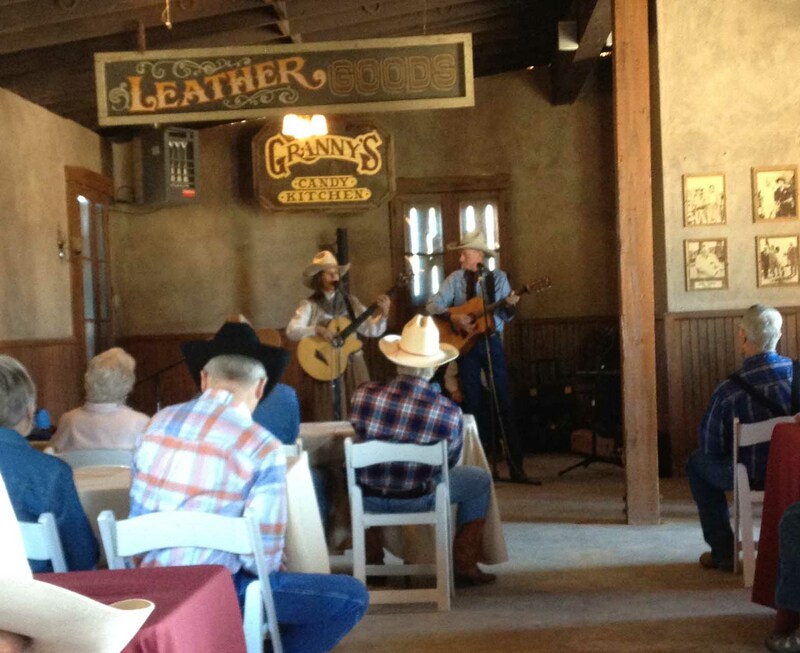 Yesterday we attended a western music concert put on by the Arizona Chapter of the Western M usic Association. It was held at Old Tucson Studios in Tucson, AZ. 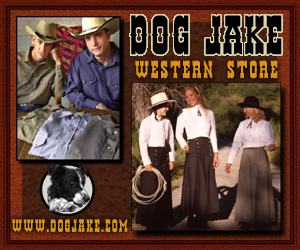 Old Tucson is where a number of John Wayne movies were filmed as well as the TV High Chaparral. 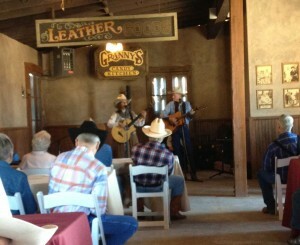 We listened to some great performances, including our good friends Jim and Jeanne Martin who are shown performing here. Incidentally this is the first picture I’ve taken with my new iPhone. 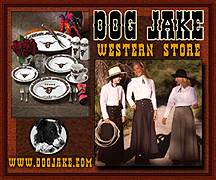 Went to the High Noon Western Americana Show in Phoenix. The highlight was renewing old acquaintances. 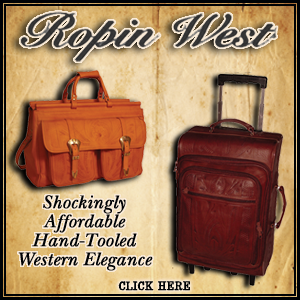 Exhibitors at the show have virtually anything a person could want from antique guns to trade blankets. They always have an auction on Saturday evening. 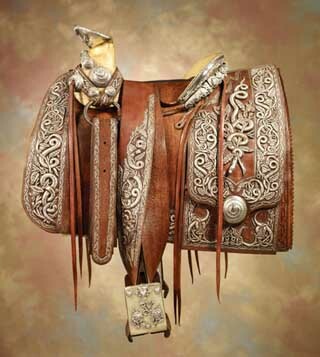 The highlight of this year’s show was Pancho Villa’s silver threaded saddle…Which, incidentally, was his last saddle. 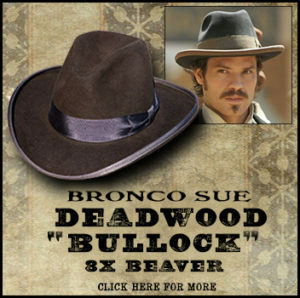 The saddle was scheduled to bring a price between $150,000 and $250,000. We had been asked over to friends for dinner. So, we were unable to attend. 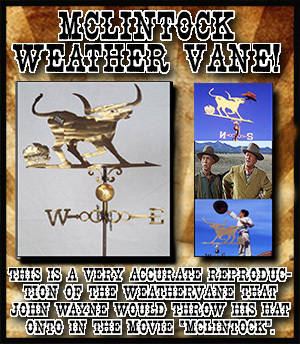 But, if it was like other recent Western Memorabilia auctions, it made or surpassed this price. 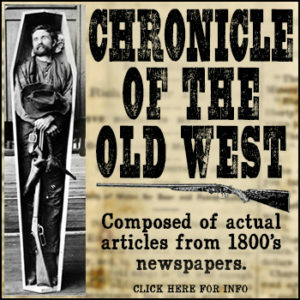 This week’s Chronicle of the Old West Weekly Radio Show features an interesting conversation with Joh nny Hotshot. What makes the conversation interesting? Johnny puts on cowboy events in Lebanon…Not Lebanon, Ohio or Missouri, but the country of Lebanon in the Middle East. 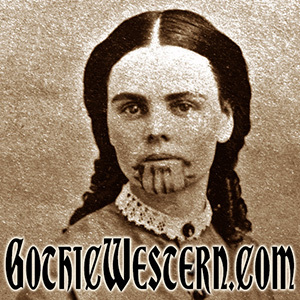 Incidentally, if you’re not getting the Chronicle of the Old West Weekly Radio Show in your area, give us information on your local talk or country music station and we’ll see if we can change that sad situation. 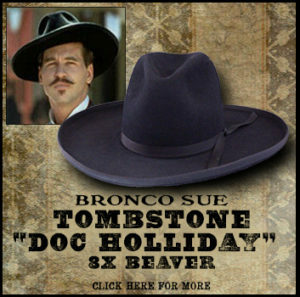 And to think, we’re packing up to go to Tombstone . I sure hope the same thing that happened to Deputy United States Marshal Virgil Earp doesn’t happen to me…Incidentally, those nineteen bullets were buckshot. 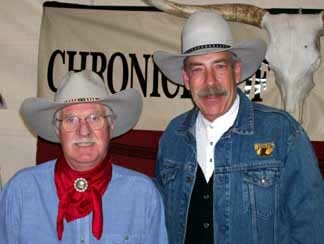 There’s a great cowboy music and poetry event coming up February 3 – 5. 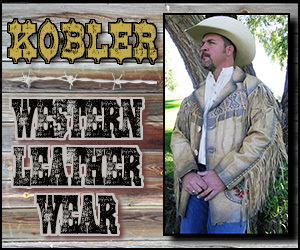 It’s the Cochise Cowboy Poetry and Music Gat hering in Sierra Vista, located in southeastern Arizona. This year they’re celebrating the Centennial Anniversary of Arizona’s statehood with an outstanding lineup. One of the headline performers is Bill Barwick, Western Music Associations Male Performer of the Year. Bill is also joining us on our Following the Legends Cruise to Alaska July 28 to August 4. 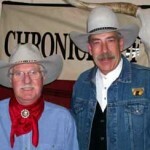 The link to the Cochise Cowboy event is: http://www.cowboypoets.com/Site/Home.html.